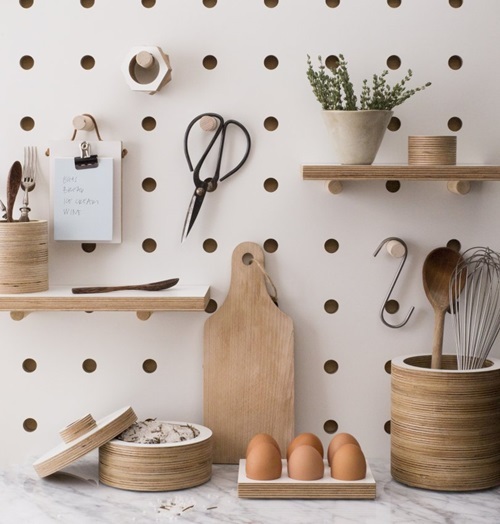 Pegboards are sheets of hardboard made of steel or wood fibers and resin, and they are drilled with holes that have even spaces between them. 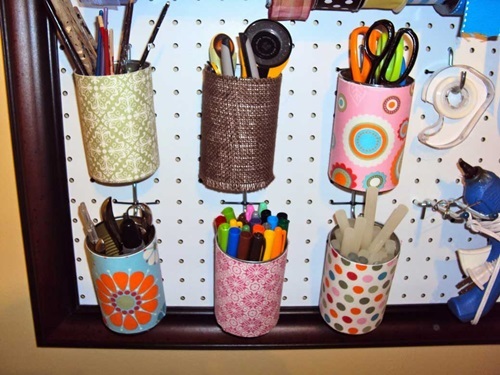 They are commonly used to pin notes or papers using pigpens. 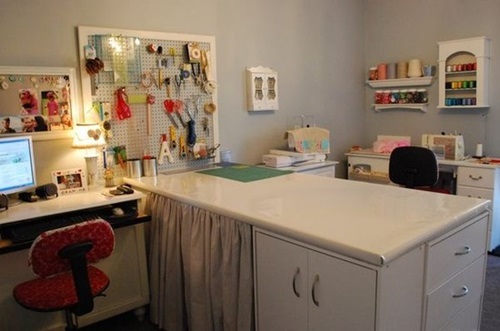 However, they have practical and style uses which we will discover in this article. 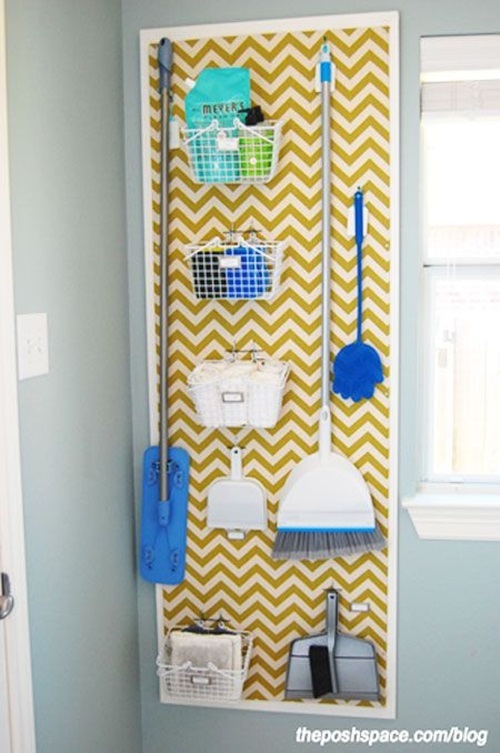 1- Don’t you hate the mess in your laundry room? 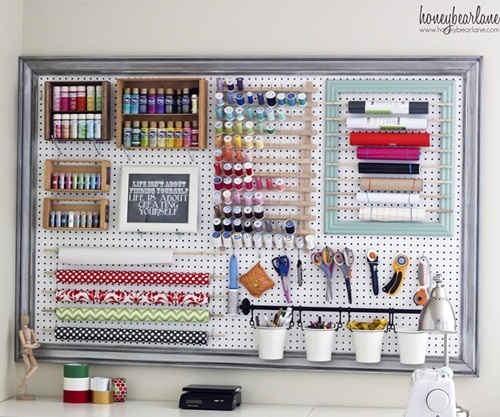 Does the sight of your laying around brushes and cleaning tools make you sigh? 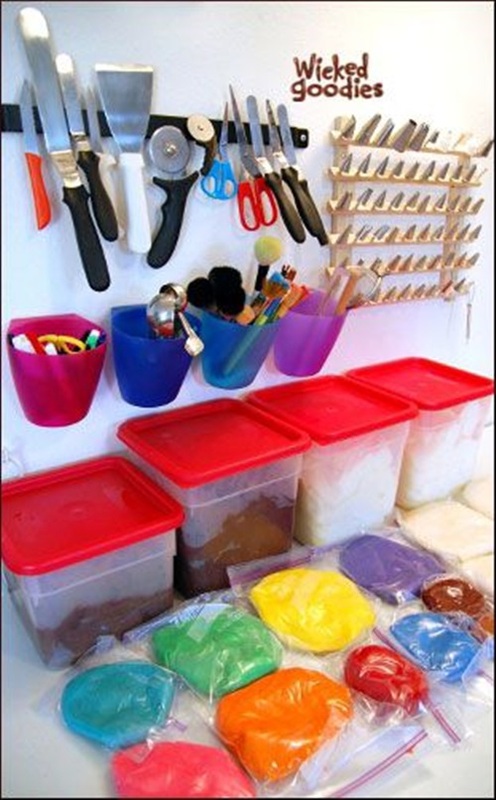 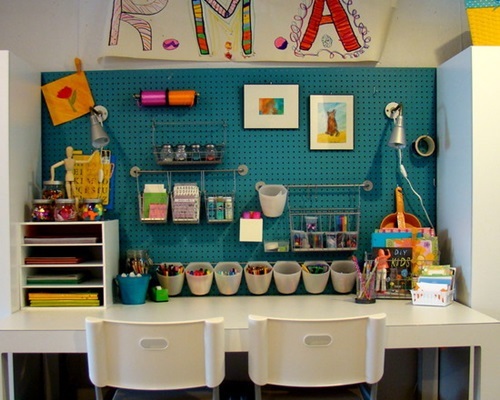 With a pegboard, you will not have to toss your brushes and packs around until you find the right brush. 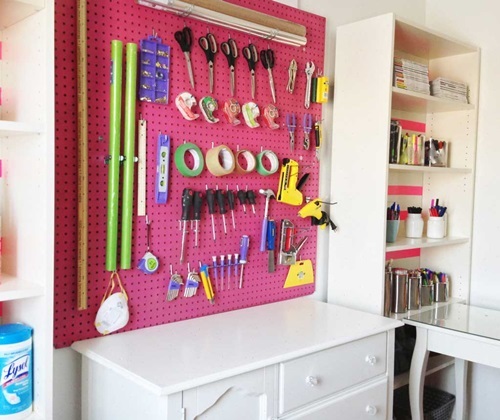 All of your tools can be hung orderly on pins. 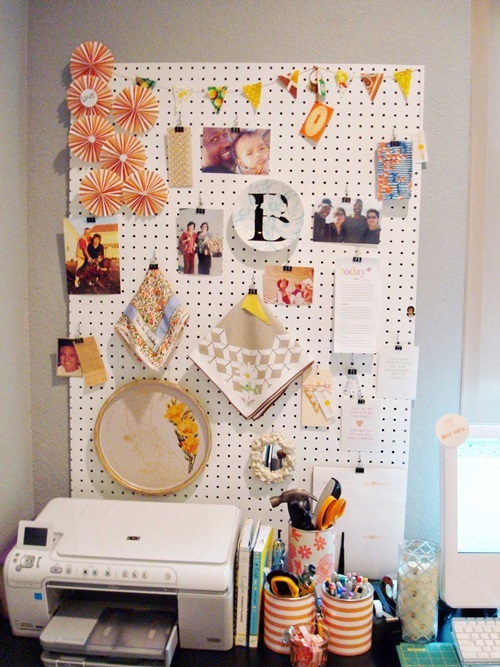 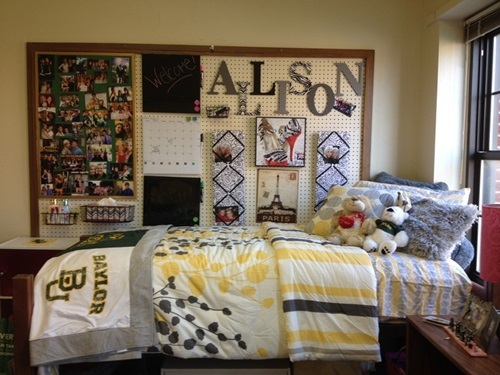 2- Pegboards will help you make a picture or photo gallery. 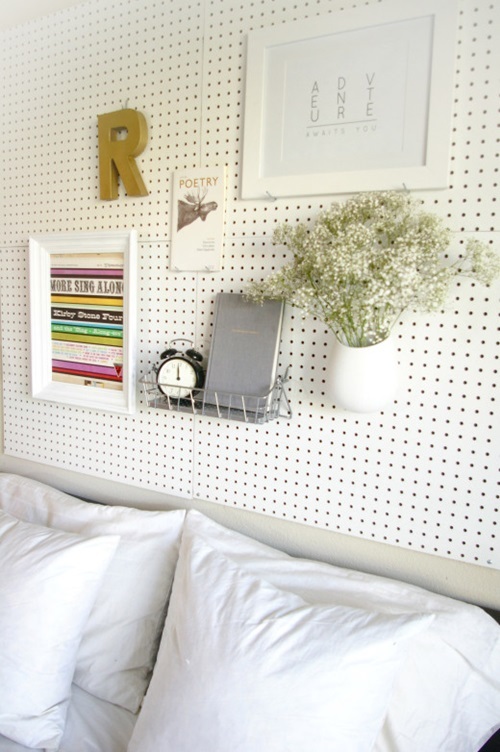 Your wall will look gorgeous with this gallery and you will not need to ruin how the wall looks if you need to change the places of your pictures. 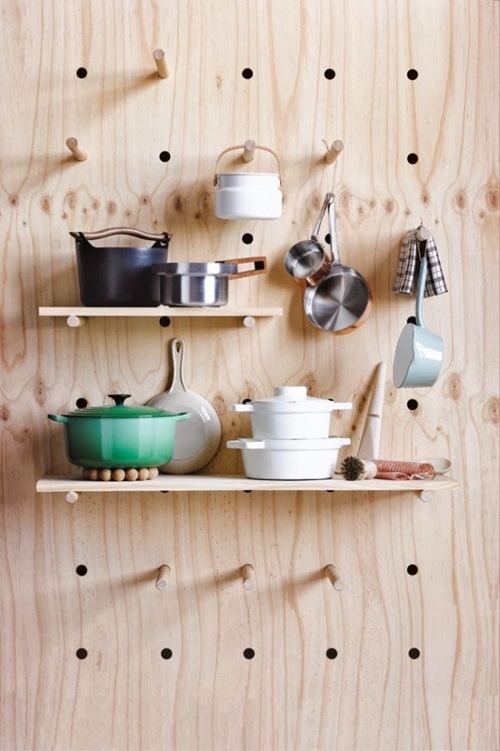 3- The most practical use for pegboards one could think of is in the kitchen. 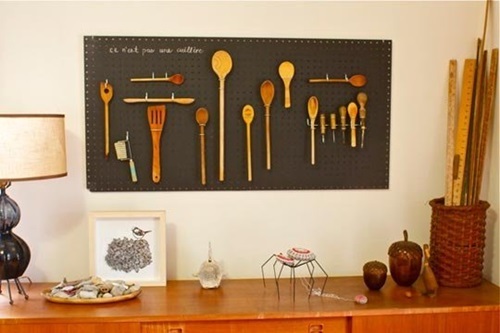 A pegboard in a kitchen will help you hang all your pans and utensils. 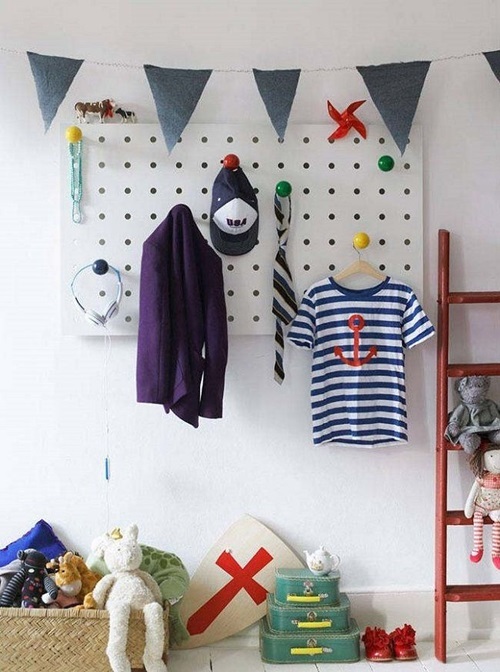 You can even use the pegboard to hang shelves for items that cannot be hung. 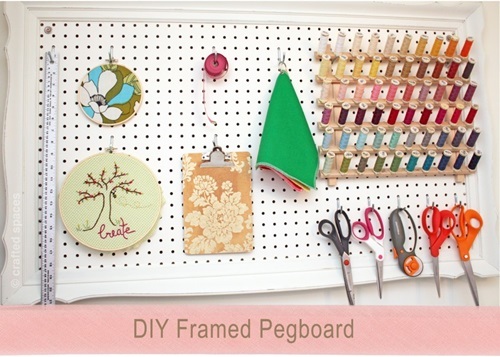 4- Hang a piece of pegboard with cords beside your vanity. 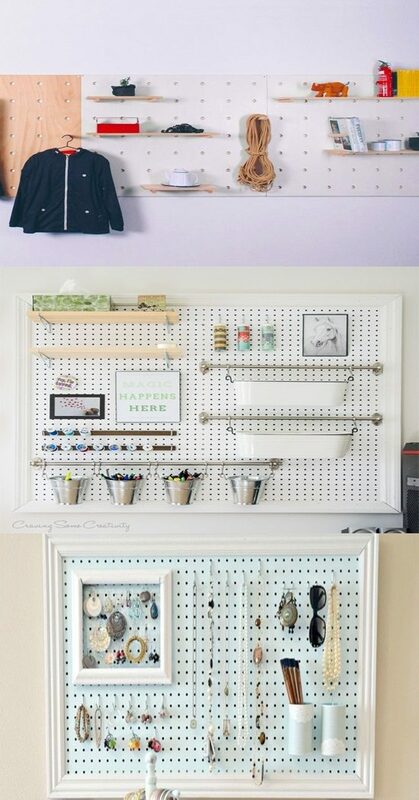 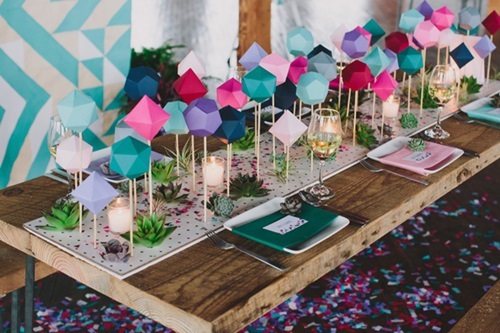 Then use pins to hang all your accessories. 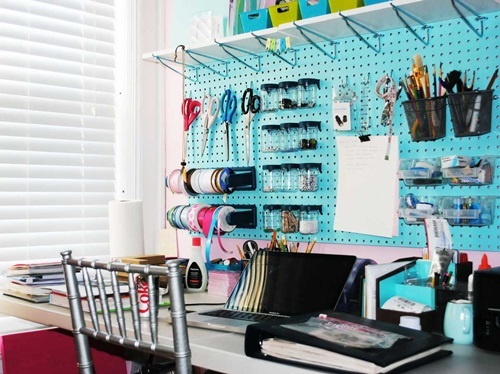 Necklaces will not break easily hung on a pegboard, and you will not flip your drawers upside down looking for a lost earring when they are pinned neatly to the pegboard. 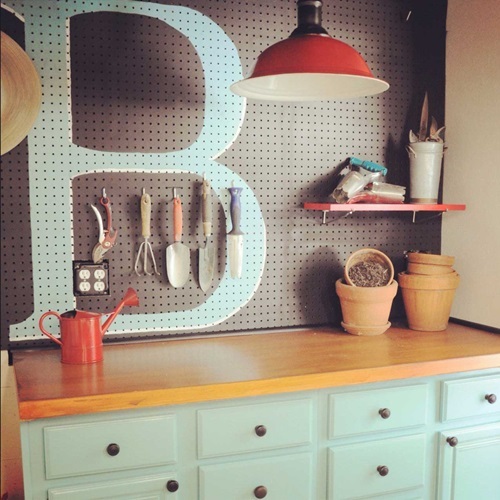 5- Instead of wasting your backsplash kitchen space with pricy tiles that do nothing but look pretty, Install a backsplash pegboard. 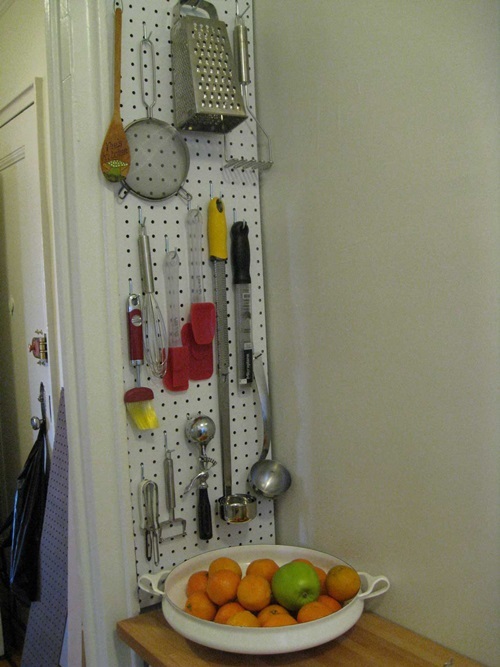 A backsplash pegboard look beautiful in a kitchen and give you a lot of wall space for mounting whatever you need in a kitchen. 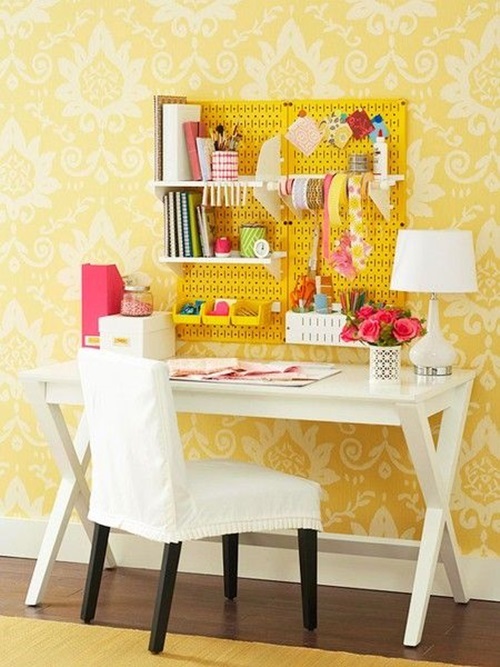 6- You can create your own office desk just by using a regular table and a pegboard. 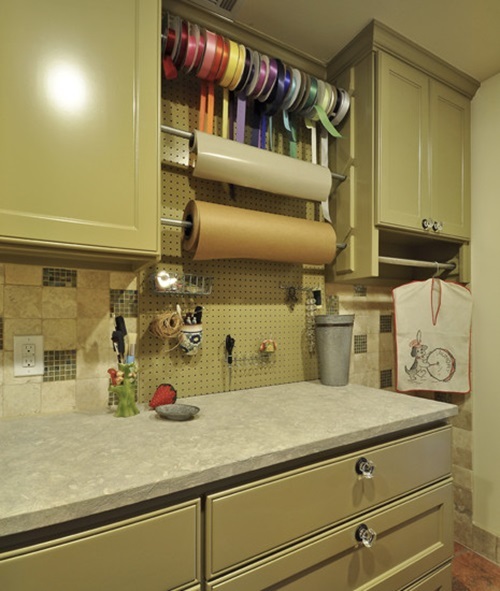 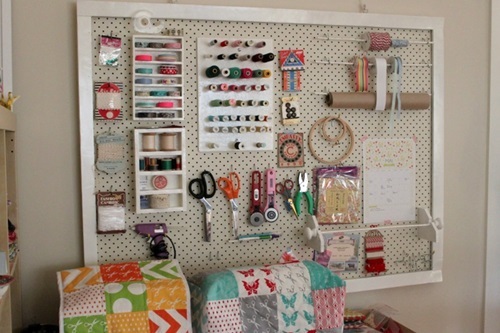 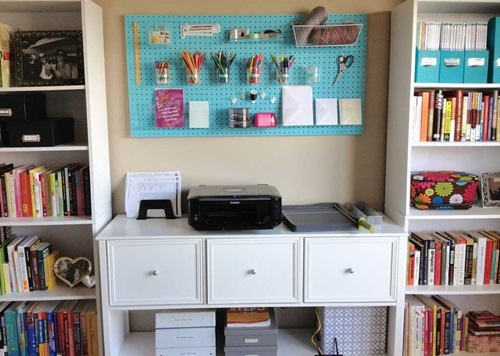 Use the pegboard to mount shelves and pin your important papers and notes. 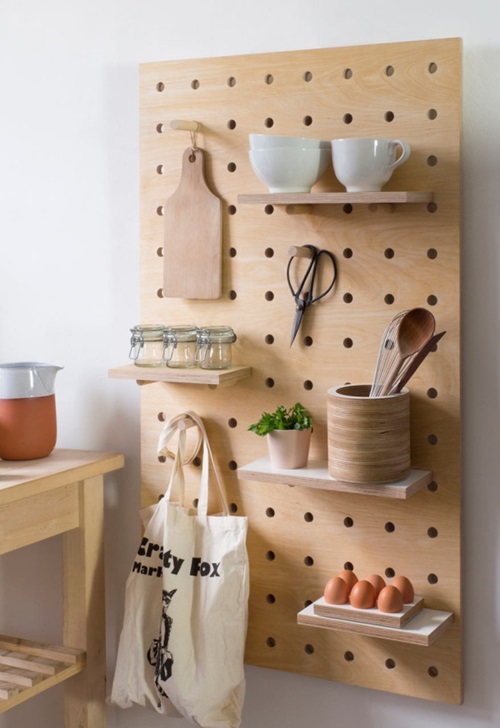 With this pegboard you wont even need desk drawers or cabinets.